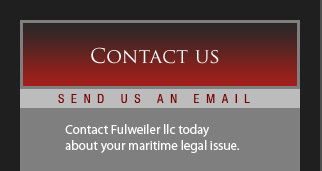 Fulweiler llc provides experienced and aggressive legal counsel to the admiralty, maritime, and transportation sectors. Devoted exclusively to maritime claims and lawsuits, the Firm offers practical and effective legal representation to individuals and businesses on matters ranging from personal injury and death claims to yacht ownership, boating accidents, and warranty dilemmas, commercial shipping disputes, maritime contracts, claims against insurers and surveyors, and marine salvage and towing claims. Located in Newport, Rhode Island, the Firm maintains practices in Manhattan and Fort Lauderdale, Florida. Fulweiler llc handles all types of maritime claims, including boating accident litigation and arbitration services for clients along the East and Gulf Coasts. 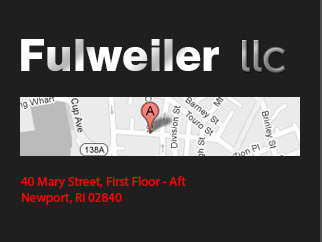 Rhode Island maritime lawyer John K. Fulweiler, Esq. is a licensed merchant mariner and a former partner in a New York maritime and transportation law firm with 14 years of maritime legal experience. Having worked in the commercial marine industry before earning a law degree, John K. Fulweiler possesses hands-on working knowledge of the maritime environment. John's extensive knowledge can be invaluable in any legal issue, whether you are a tug operator, yacht owner, crew member, or longshoreman. Understanding the unique legal needs of the maritime client is what this law firm is all about. This maritime experience combined with extensive litigation experience makes Fulweiler llc an effective law firm for obtaining favorable results for all of your maritime claims. Attorney Fulweiler holds a U.S. Coast Guard Masters License and is recognized by the Maritime Law Association as holding "Proctor in Admiralty Law" status. He is licensed in Arkansas, Rhode Island, Florida, New Jersey, and New York and has recovered over one million dollars in maritime salvage awards. Prior to opening his own practice, Mr. Fulweiler was a partner in a New York maritime law firm where he gained substantial litigation experience. He maintains a close working relationship with clients and, whether prosecuting a claim or mounting a defense, will always work diligently to achieve your goals. Contact John K. Fulweiler, Esq. for experienced legal assistance with your maritime claim today. Click here to recieve your FREE copy today. The information on this website is for general information purposes only. Nothing on this site should be taken as legal advice for any individual case or situation. This information is not intended to create, and receipt or viewing does not constitute, an attorney-client relationship. Some jurisdictions may deem this website Attorney Advertising.